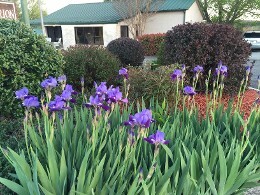 Relax and enjoy quality, affordable lodging. Our inn has single, double, and king guest rooms. We also offer an executive suite and a family suite that includes a living room, kitchen, and two bathrooms to accommodate your entire party. Each room is uniquely furnished and decorated. 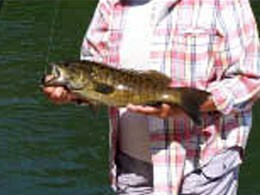 When you stay with us, you'll enjoy the best that nature has to offer, from world-class trout fishing on the White River to scuba diving in Bull Shoals Lake. The Buffalo River and the Ozark Mountains are tourist favorites, but there are plenty of hiking trails, biking, hunting, and other adventures that await you. Treat yourself or your family to a relaxing vacation any time. 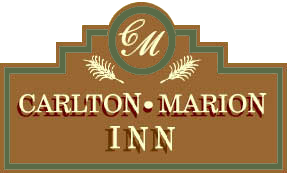 The Carlton Marion Inn serves visitors in Yellville, Arkansas, all year round. We provide you with comfortable lodging no matter the season. When you're ready to visit the beautiful Ozark Mountains, you can depend on us to have a room waiting for you. We are centrally located in and convenient to all of the area attractions. As we create our own traditions, we are committed to raising the bar to a higher standard. Our thinking is based on a simple principle: you will enjoy your stay with us so much that you wouldn't even consider staying elsewhere when you visit the area! Your hosts, Glenda and Ken, welcome you and are honored to serve you as their guests. Give us a call to book your next accommodations. Check In Time: 1:00 P.M. to 9:00 P.M. Lobby Hours Monday-Sunday: 10:00 A.M. to 9:00 P.M.
*Late check-in arrivals(after 9:00 P.M.) must have prior arrangements with office.